Find homes in Sun Lakes AZ Gated Communities for sale now! Sun Lakes AZ gated communities include Palo Verde, Ironwood and Oakwood Country Clubs. Palo Verde was the first of the gated communities and offers 1,073 single family homes. Ironwood was built has 734 single family homes and Oakwood, the newest, has 3,285 single family and villa townhouse style homes. Each of the communities offers their own resort amenities with a golf course, tennis and pickle ball courts, swimming pools, restaurants and clubhouse. There is no wrong choice, but each community has its own feel and culture. It is a good idea to tour each of the Sun Lakes AZ gated communities and walk through the clubhouse. Talk to the people to see what they like best and why they specifically chose that community. Tour some of the homes that are listed for sale and if neighbors are out, visit with them about the community. Most neighbors are willing to share their experiences – good or bad. You can really find out quite a bit by spending a little time in each community. Homes range in size from 1,300 to over 3,000 square feet and are single family, villa (town home) style and there are a few two level homes with main floor living. Home prices range from the lower $200,000’s to the upper $600’s. 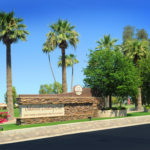 See all Sun Lakes AZ gated community homes for sale here. 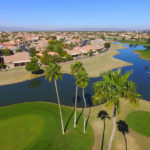 If you are ready to find homes in Sun Lakes AZ gated communities, call The Kolb Team – Sun Lakes AZ #1 real estate team. Contact us here or call 480-440-0849.